emailed to the recipients directly. 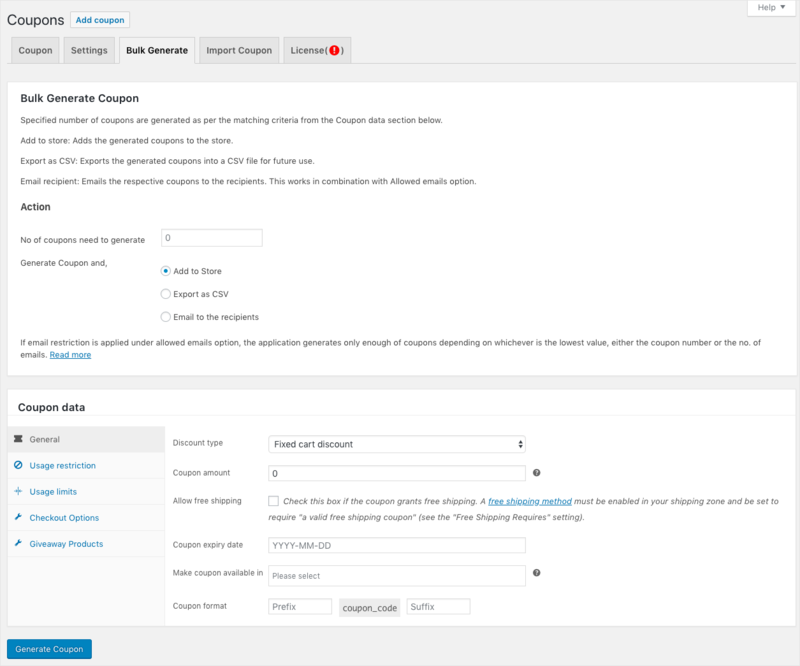 Select Bulk Generate next to the Settings tab. No. 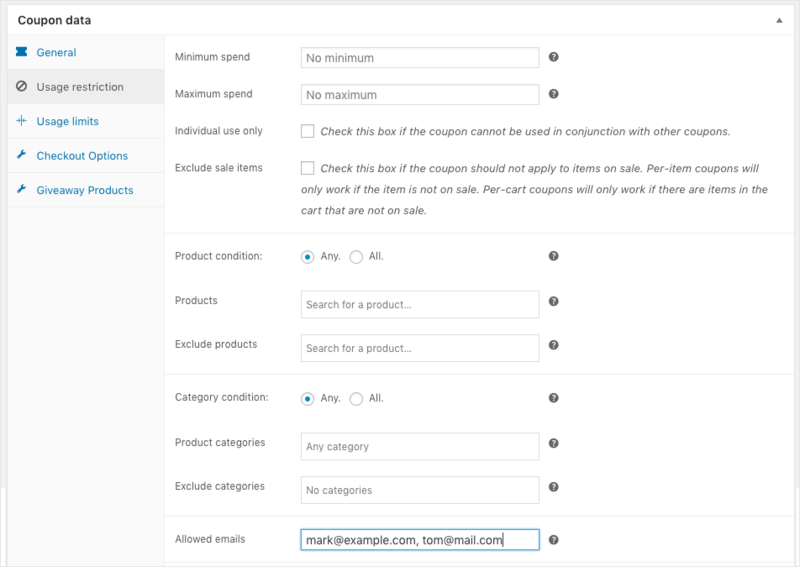 of coupon need to be generated: The number of coupons to be generated can be specified in the provided text field. As many coupons as required will be generated in bulk as per the matching criteria. Once the settings are in place, assign a prefix and suffix for the coupon, if required. The coupon_code is a unique randomized alphanumeric character of length 12 which will be generated automatically. Click on Generate Coupon button to issue coupons as per the pre-defined configurations. Even though 10 coupons are given for generation only two coupons will be generated and assigned to those restricted users in the order listed. Alternatively, if you provide 2 coupons and 10 emails, only two coupons will be generated and assigned to the first two email ids. This entry was posted in Documentation, Knowledge Base, Smart Coupons for WooCommerce. Bookmark the permalink.